With a growing number of mobile devices entering the workplace, IT is focused on implementing easy, scalable solutions for enterprise mobile management. Here are 10 stories that look at the growing trend of EMM. Enterprise mobile management (EMM) refers to managing mobile devices, cloud technology, business apps and other technologies. It encompasses everything from BYOD to cloud to mobile device management (MDM) to mobile application management (MAM), with a focus on implementing easy, scalable management to give IT better control over enterprise security. Here are 10 stories from 2016 that examine the changing landscape of mobile management and the top vendors, software and trends in EMM. Enterprise mobility management isn't just for mobile devices and applications anymore. The tools and concepts developed to secure and enable mobile devices are now used for all devices connected to the network, including desktops. This in effect creates a single approach for deploying and managing access to software and data, and for provisioning systems. Today's largely cloud-based EMM tools can perform those tasks securely and much more easily and cheaply than earlier systems could. IT workers can't always be on site when issues arise - so it's great to have access to all the tools you need while on the road. These 11 tools help IT pros stay connected to make sure nothing slips through the cracks while away from the office. BYOD adds complexities to mobile management, but the truth is that employees aren't going to stop bringing their own devices to work anytime soon. Here are 10 vendors that offer EMM solutions that will help make BYOD less of a headache. One of the most convenient ways to get a handle on EMM is to deploy devices with enterprise-grade security and business features built in. Apple's iOS 10 includes a number of business-ready features that will help alleviate some of the burden on IT. A great way to gain more control over mobile management is to create safe, approved apps for your employees to use. But the hard part is designing apps that your employees will want to use - here are some tips to help you make sure your app investment pays off. In this article, Clint Bolton explores how Edward Rose & Sons uses cloud software to manage hundreds of iOS devices deployed in the field with agents, construction workers and maintenance staff. Small businesses might not have the man power to stay on top of mobile management, but that doesn't mean you're out of luck. These five EMM providers offer mobile management solutions for small businesses that will fit right into the budget. As IT looks for ways to gain better control over corporate data stored on employee's personal devices, a few products have emerged as the best EMM tools. These five EMM products are the leaders in the market, according to Gartner. Employers are increasingly asking workers to use personal mobile devices for work, whether they offer reimbursement or not. However, there are more than just financial risks involved in a loose BYOD policy - the real risk is security. 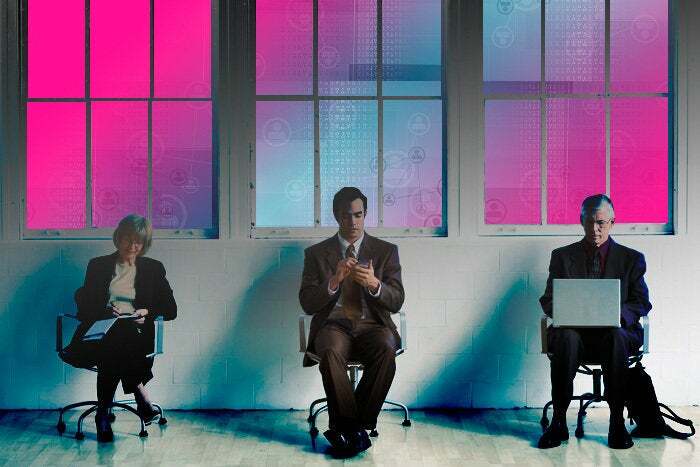 Business can't stop BYOD, which means they must adapt. And part of that includes developing clear, concise BYOD policies that everyone in the company can stand behind. Here are tips on how to implement a BYOD policy that everyone understands, and follows.